All captivating with its amazing abstract print this Delicate Dash Coffee Colored Poly- Crepe Straight Tunic for Women from the house of Snehal Creation is a unique piece of fashion forward clothing. 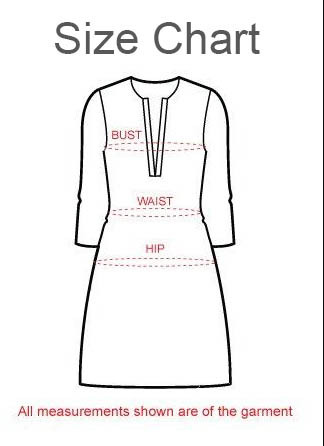 The narrow round neck of this poly crepe tunic is taped with plain brown fabric and has plain full length sleeves. Flaunt it with a brown or orange leggings for a complete package of good look and style.